Manchester United host Brighton & Hove Albion at Old Trafford in the Premier League on Saturday. Caretaker manager Ole Gunnar Solskjaer is looking to make it seven wins from seven since replacing Jose Mourinho at the helm in mid-December. 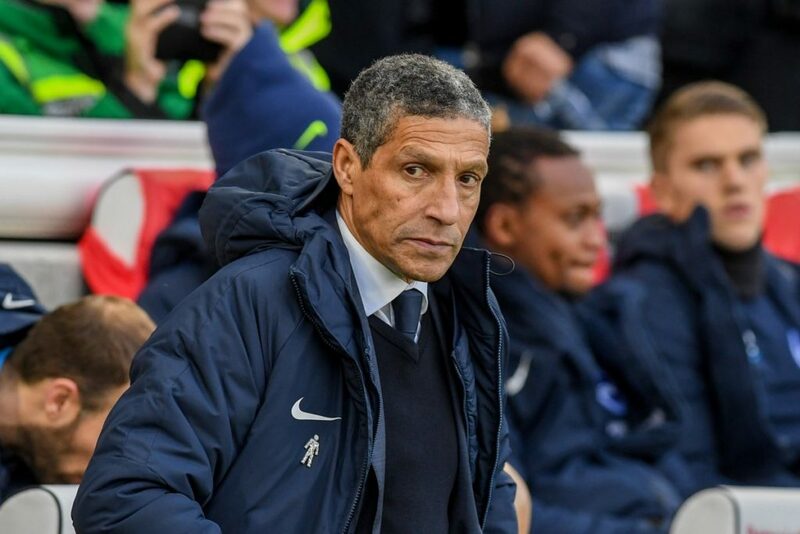 Speaking at his pre-match press conference today, Brighton & Hove Albion manager Chris Hughton has heaped praise on his opposite number ahead of tomorrow’s clash. “It goes without saying they’ll pose a different challenge to the side we faced back at the Amex in August. “I was at their game with Tottenham Hotspur at Wembley Stadium last weekend, and I thought they were very good in the first half before Spurs improved in the second. “Their recent form has seen them play in a way that allows their quality and pace to come through – they’re aggressive in the way they press too and are in really good form – it makes it difficult for us. Brighton & Hove Albion start the weekend down in 13th place having won seven, drawn five and lost 10 of their Premier League games so far this season. They have scored 24 goals and conceded 30 in their 22 games before their visit to Old Trafford. We start the weekend in sixth position, level on points with Arsenal. Victory over Brighton on Saturday would guarantee that we either overtake Arsenal or close the gap on Chelsea in fourth, or both, as the two meet at the Emirates Stadium in tomorrow#s evening kickoff. Ole Gunnar Solskjaer guided us to a 1-0 win at Wembley Stadium over Tottenham Hotspur last weekend; the Norwegian’s most impressive result during his short time in charge. The boss was helped out by a stunning performance from David de Gea that saw the goalkeeper produce 11 saves, four alone from Harry Kane. The shot stopper can expect to be called into action fewer times tomorrow against a Brighton side who are averaging little more than a goal a game so far this season. De Gea has kept clean sheets in each of his past two Premier League appearances.